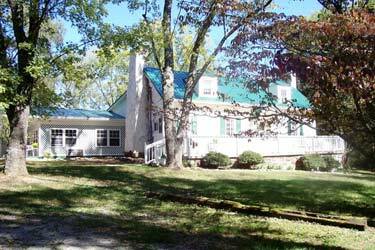 Built in the early 1800's as a log cabin, The Home Place has been owned by Priscilla Rogers' family since then. Many generations have left their mark on the home by renovating it to meet their needs. 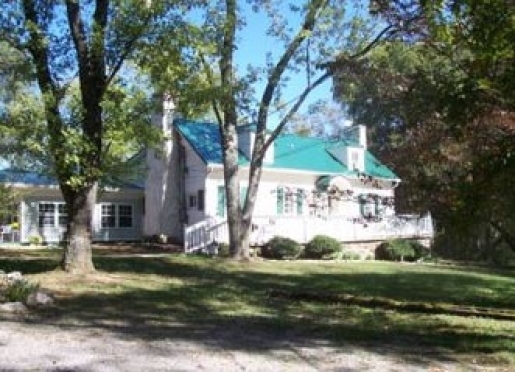 Today it is a cozy yet spacious home in a very private setting in Mooresburg, Tennessee. 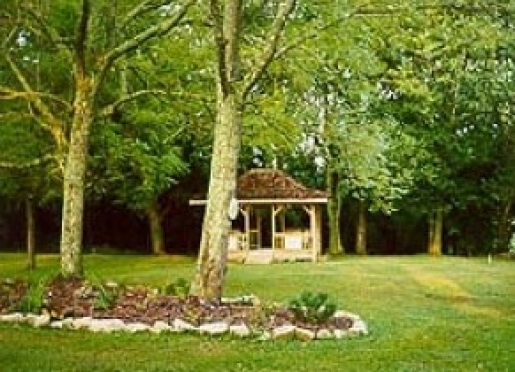 Mooresburg is located 12 miles southwest of historic Rogersville, Tennessee, 50 miles northeast of Knoxville and an hour's drive north of the Great Smoky Mountains and Pigeon Forge. Major Hugh G. Moore, my great-great-great grandfather, settled this small community in 1769. 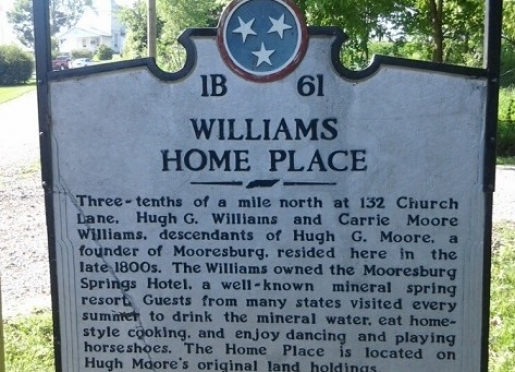 His granddaughter, "Mammy" Moore Williams (my great-grandmother), raised her children in this house, and in the late 1800's, opened her home to "drummers," or traveling salesmen, to supplement the family income. Another of my ancestors, Joseph Rogers, founded nearby Rogersville, the second-oldest town in Tennessee. He opened a tavern there in the late 1700s and hosted such dignitaries as Andrew Jackson. As you can see, innkeeping is in my blood! Travelers are always looking formemorable and relaxing experiences. Let’s discover more through the words of our innkeepers. Many thanks to Priscilla Rogers for sharing her own secrets with BBOnline.com! They like the homey atmosphere. 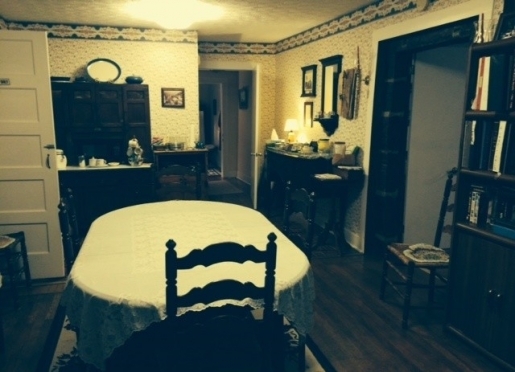 Many are there looking for property to purchase. It has been in my family for almost 200 years. It has the “feel” of a house that is cherished and that has sheltered my family, friends, and weary travelers over the years. Check out Cumberland Gap, historic towns such as Rogersville, Greenville, and Jonesboro; if summer, rent a boat at Cherokee Park in Morristown and go fishing. We have two ground floor rooms available right now. For more information about the history of Rogersville, please see the video/article, Rogersville Has Romantic Origins. 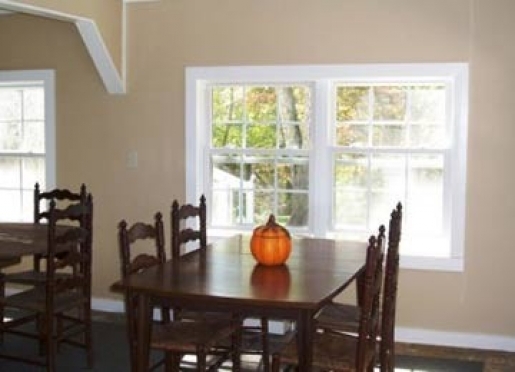 At The Home Place, you will enjoy a homey and relaxed atmosphere. 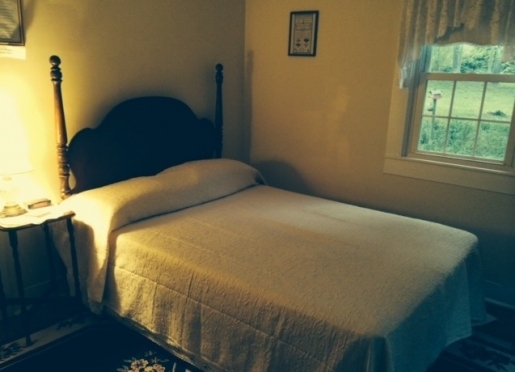 Many heirlooms decorate the bedrooms, which are named for individuals who have occupied them in the past. 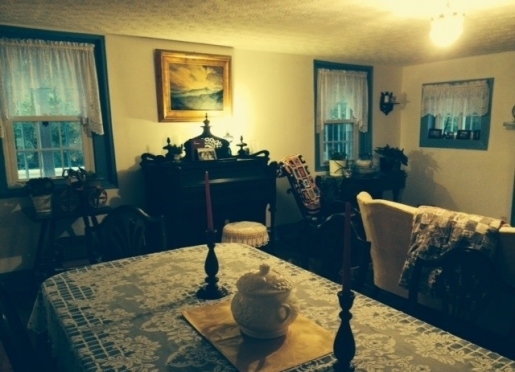 During the renovation of the house, the original dining room and kitchen were combined to make the Breakfast Room. 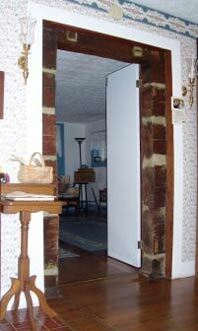 The doorway between this room and the living room was widened to reveal the original log structure of the home. 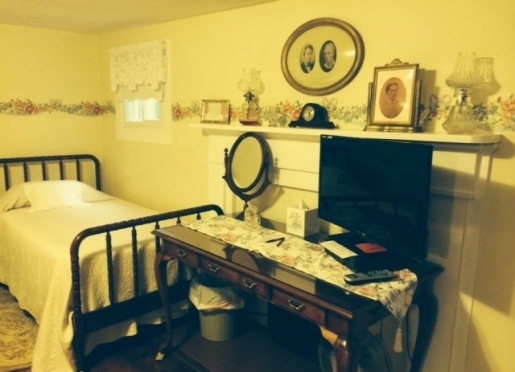 The Home Place is a non-smoking facility offering the following amenities: Telephones, fax, Cable TV in each room, a guest refrigerator on each floor, and Wireless Internet. The Home Place is permitted by the Health Department. 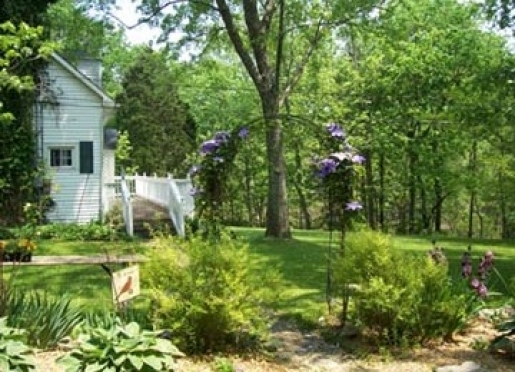 The Home Place B&B initiated the Mooresburg Community Association, Inc. in 2001. MCA is a non profit agency, which serves older and disabled persons, providing a hot meal daily-at home or at the Center. The Center offers arts and crafts classes, computer availability, field trips, and special programming such as guest speakers on a variety of topics. To find out more about what we are doing or how you can help, visit our web site at www.Mooresburgcommunity.org. We hope you enjoy your visit to the The Home Place. Website for individuals new to vision loss and their family members: www.visionaware.org. The site offers solutions and tips for living with vision loss as well as a directory to find services to deal with vision loss anywhere in the country. Take llW toward Knoxville to Mooresburg. In Mooresburg, the first exit to the Home Place is just past the J.L. Make a right. Drive 1/10 mile, cross over small bridge. The mail box and lane for the Home Place are just past the bridge. Go 1/10 mile past small bridge and turn right immediately past the bridge. You should see the Home Place mail box. Drive 2/10 mile. Drive 3/10 mile past two churches and watch for mailbox on left. Turn left at the mailbox and drive 2/10 mile.